Are you teaching US geography this year? 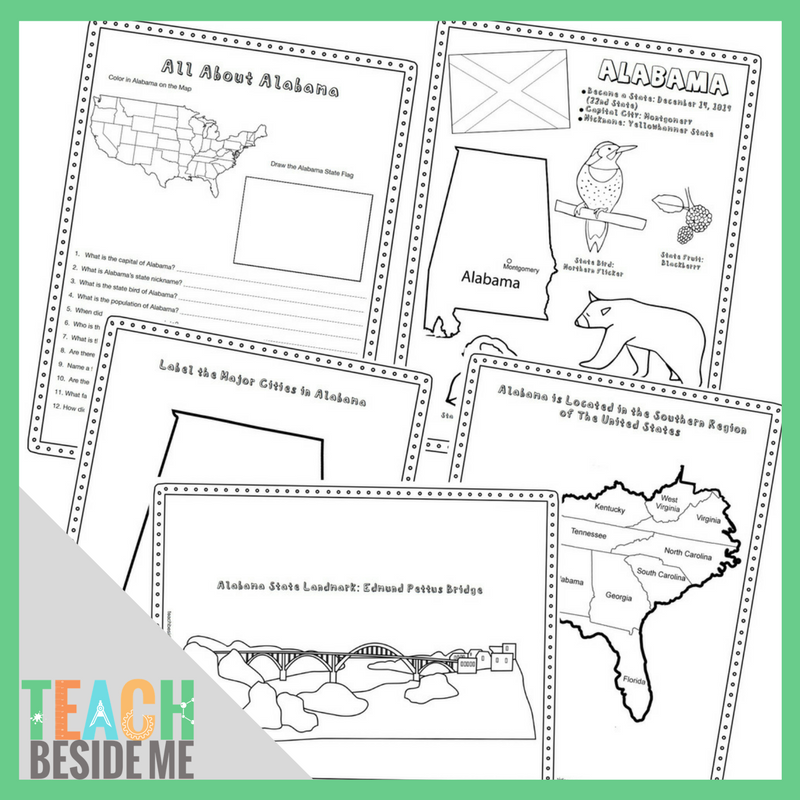 This download is 7 FUN pages of geography lessons about Alabama! 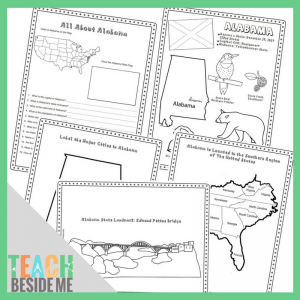 Includes a coloring/fact sheet, a regional map, a blank US map to draw in Alabama, an info sheet to fill in, a landmark coloring page, a flag coloring page, an Alabama state map to label cities.